My perspective -- What Constance thinks: Guess Who???? Again!!!! NOW BACK TO GUESS WHO, OTHERWISE KNOWN AS "JAVIER SOLANA"
Well, let's see? Is it a conference on Social Security benefits? NO. Is it being addressed by a "retiree"? YES. Is it by an "elderly gentleman" who "likes his private life"? I had the bad case of giggles reading somebody else's GUESS WHO? column heading a few days ago. Given the role that Brookings is playing in the Middle East Process by U.S. State Department officials who recently were on record urging "The Quartet for Peace in the Middle East" to slow down, this is significant. Farmer brought that news to the attention of many in his recent article which you may read by clicking here. Then he ran his "guess who" headline. I googled Javier Solana today, as I do many days, expecting to find little new from the "retired elderly gentleman." BUT, I found this. Maybe it's his belated retirement party?! Well, with excitement like this, JS should not get bored in his "golden years." "US evangelist Franklin Graham thinks the second coming of Jesus Christ could be a social media event captured by millions of mobile phones. "The Bible says that every eye is going to see it" and that Christ will "come on the clouds," Graham, the oldest son of preacher Billy Graham, who used the media to make Christian evangelism a global phenomenon, told ABC News presenter Christiane Amanpour, host of "This Week." "US evangelist Franklin Graham thinks the second coming of Jesus Christ could be a social media event captured by millions of mobile phones...."
Back to the old faithful distraction. Well, when Pat Robertson said "every eye shall behold him, it meant on television," I felt that if he had the NERVE to say it, I had THE NERVE to quote it. If you want to check out something very dangerous and very creepy, check out the UN GLOBAL COMPACT. I'M ABSOLUTELY FREAKED OUT BY WHAT I HAVE LEARNED ABOUT IT TONIGHT. PLEASE CHECK OUT THE UN GLOBAL COMPACT. Add "Josette Sheeran" to the mix and you will find even more fascinating things. VERY VERY DISTURBING, CREEPY AND I NEED BOTH OF YOUR INPUTS. I'M OVERWHELMED BY THE ENORMITY OF WHAT I HAVE FOUND. This is the Beast system, rolling out. Have you investigated Common Purpose yet? It is active in the UK and US. Received a setback from being exposed, but still continues. It is part of the mobilization to a 'post-democratic' world, training 'future leaders', with among other things, NLP methods. I was contacted by friends of Dr. Stanley Monteith about Common Purpose and a woman named Middleton (NOT KATE MIDDLETON) and her role in it a couple of years ago as I recall. I have not sufficiently followed up on that information, but need to do so. Yes, 'all eyes shall see Him' . . . but we certainly won't be needing any man-made technology to view the Second Coming (like cell phone cameras or television sets). Jesus will be coming back 'in' the air . . . not 'on' the air!!! In other words, even the poor people of Calcutta (just as an example) -- who don't have access to such technology -- will also see Our Lord and Savior Jesus Christ IN the air!!! As a matter of fact to accept otherwise, leaves room for a great deception (a FALSE 'Second Coming'?) - through the very use of that man-made technology - to be perpetrated on the world. "In his book The New Alchemists, Charles Handy said of her: "How Julia came to be the force she is, the values she holds and the way she applies them, contains messages for many who dream of making the difference she has done". I know there has been a lot of research (here and elsewhere) about quantum physics and how it relates to the New Age Movement, and how *that* might relate to a possible future "faked" second coming. If anyone has any links to good research about how quantum physics may be a part of the coming deception (reality is based on perception, "instantaneous" transfer of energy or thought or knowledge, etc, etc), please post them. There is a discussion on another Christian forum about quantum physics, and I'd like to toss in some interesting things to think about. She will tell you how you can open portals in heaven by vibrating to God's frequency. This is all related if you believe that all is One. It all works with the Quantum Physics stuff. And guess WHO is also an expert on physics? Javier Solana!!! Back on April 5, 1986 (25 years ago this month), we here in the Houston, Texas area were treated to just a small PREVIEW of man's technological capability . . . when French composer,Jean-Michel Jarre performed in a live outdoor concert in downtown Houston, called "Rendevous Houston." Traffic stopped on all of the freeways as an estimated crowd of 1.3 to 1.5 million people watched in AWE. In other words, you didn't have to be in downtown Houston to see it. We were stuck up on one of the city's many freeways and watched as images 'bounced' off of buildings and into the sky. As we were at a complete standstill on the freeway, everyone got out of their cars and started talking to each other . . . as word spread to turn on our car radios to a certain station to hear the hypnotic music which was synchronized with the lights and images. Imagine what the technological capabilities are NOW . . . and also imagine the opportunities for abuse!!! It sounds like some species of "global governance initiative." accountability mechanisms, and advancing intergovernmental oversight. over the last decade and thus need to be vetted against their historic background. Secretary-General, intergovernmental support developed in an incremental, yet delayed, manner. Notice how I highlighted the word "network"
It looks to me like the so-called Global Governance is all wrapped up in environmentalism and the "climate change" myth, is pro-union and collectivist......it looks like a global initiative to destroy capitalism. Every time I see the word "sustainability," a red flag goes up....AND I DO MEAN RED!!! "Mainstream the ten principles in business activities around the world" and "Catalyse actions in support of broader UN goals, such as the Millennium Development Goals (MDGs)." JD has frequently mentioned the MDGs. Koffi Annan is the UN Secretary General who first announced the UN Global Compact in 1999. Koffi Annan, as you know, was also allegedly involved in the oil for food scandal......supposedly with Maurice Strong who hightailed it to China after he became a "person of interest" in the scandal. But on the up side, there are apparently some watchdog groups keeping an eye on the UN Global Compact. Here is one of them. Office for the Coordination of Humanitarian Affairs (OCHA), and World Food Programme (WFP). Kofi Annan had strong ties to Rev. Moon and company. Josette Sheeran even MUCH, MUCH stronger. I'm convinced her nomination to the UN post was a payback to Rev. Moon for the millions he lavished on the Bush family. Supposedly, she was on her way out with Barack Obama, but Rev. Moon and company undoubtedly knew how to buy him too. Wayne Madsen whose research I respect writes about ties between BanKI Moon and Rev. Moon. Do you remember the "triple bottom line" way of doing business that was discussed in the context of microfinance and the ShoreBank Chicago and Grameen Bank way of doing business? The Responsible Entrepreneurs Achievement Programme (REAP) is a practical CSR based management and reporting tool that helps smaller companies to implement CSR concepts, thereby aligning economic, social and environmental aspects of business (also referred to as “Triple Bottom Line Approach”). Based on the ten principles of the UN Global Compact, as well as international standards in the social and environmental domains it provides a structured framework in combination with an analytical software, which can be used to gather, process, evaluate and report data to track progress in implementing CSR in SMEs/suppliers. This would be right up JD's alley! And here we have another initiative on the part of those who wax nostalgic over "paradigms lost!" Thanks for the Anne Marie Slaughter book reference. The book is already in my reference library, but I had not yet got to the parts you cited. Interestingly, Professor Anne Marie Slaughter had a high position in Hillary Clinton's U.S. State Department. I understand she may have recently resigned. More intestingly, she and Javier Solana appear to be mutual admirers. They follow each other's TWITTER sites. I am following both of their sites for obvious reasons. I rather suspect, however, that both might read ours. Tonight's radio program is dedicated to the UN GLOBAL COMPACT and its ramifications. Van Jones, the Obama administration's controversial former "green jobs czar," has found a new calling: helping to push for a new, global architecture of environmental law that would give Mother Nature the same rights status as humans. The new movement is almost certain to be showcased at a U.N.-sponsored global summit on “sustainable development” to take place in Rio de Janeiro in May 2012, when similar issues of “global environmental governance” are a major focus of attention. Jones is taking up the challenge as one of the newest board members of an obscure San Francisco New Age-style organization known as the Pachamama Alliance, which has been creating a global movement to make human rights for Mother Nature an international reality — complete with enforceable laws — by 2014. The Rio summit will create an important midpoint for that campaign. “Some type of retaliation or some type of hatred toward this kind of church or religion.” Kraus said the pentagram is “typically … a satanic, demonic” symbol. The same symbols along were found in the church desecrations in California. "St. Rose of Lima parish in Maywood was also attacked in 2010 when vandals broke into the parish school, scrawled “666” on walls . A police report described some of the vandalism to be “of a heinous nature, and in fact, consistent with a ‘hate crime. The suspect(s) defecated in the auditorium (adjacent to the kitchen area) and wrote ‘666’ on areas of the kitchen, and a cross was displayed in a sacrilegious manner.”"
Slaughter's global governance agenda is described in the following article. Liberalism at the Global Level: The Last of the Independent Commissions? Guess who else was into physics? Albert Einstein--and he wasn't the antichrist. You all act like quantum physics is some kind of magic. Since most of you know nothing about it, you've concocted an explanation that you're tiny brains can understand. But it's still a fantasy. Oh, I know, you're like Ole Salem, but from an alternate universe. I thought the witch trials ended. "How do you know she's a witch?" "She turned me into a newt." Global Alliance for the Rights of Nature, an offshoot of the Pachamama Alliance. Google Rick Ross information to see the New Age cult connection. People involved have long connections to other New Age groups. Those looking into this will also want to review the book Cloak of Green which teaches about the government and corporate business manipulation of environmental groups. Some fascinating history on Soros' early life which suggests that the only way things could have gone that way in his life is because of communist protection. The author says there are no smoking guns just analysis of events. "You all act like quantum physics is some kind of magic." It has been, as Max Tegmark, a cosmologist at the Massachusetts Institute of Technology, noted, "a 75-year war." It is typical in reporting on this subject to bounce from one expert to another, each one shaking his or her head about how the other one just doesn't get it. "It's a kind of funny situation," N. David Mermin of Cornell, who has called Einstein's spooky action "the closest thing we have to magic," said, referring to the recent results. "These are extremely difficult experiments that confirm elementary features of quantum mechanics." Quantum theory has always been controversial. BTW, anon, if *you* knew anything about quantum physics, you would know that Einstein was *opposed* to quantum theory from the beginning. It's good when people work together to gather information rather than taking someone at their word that truth has been presented. Yesterday Susanna sent me a link which worked new information with old information. Constance mentioned Pachamama, I checked it out and posted links to more information. Yesterday Susanna sent a link to a Canadian Free Press series. The article came out last July. Last year I also pointed out the connection between people at the Institute for Noetic Science and their endorsement of Obama. "...Founder of the Pachamama Alliance. Pachamama has worked with Lynne’s close friend Van Jones and the Ella Baker Center to promote their common agenda. Pachamama, working actively in Eduador, sings the praises of Eduadorian president Rafael Correa, said to be a puppet for Hugo Chavez. Much to Lynne’s delight, has given legal rights to Nature...."
Going back to the time of the Fabians and Beatrice Webb to Richard Wurmbrand who wrote Marx and Satan, from Foster Bailey to Prof. Victor A. Shnirelman who wrote about Russian New Age. Even Creme in his books honors Marx. Communism didn't die off. We have just forgotten what it looks like and how its leadership acts. Two steps forward and one step back is how it goes. Paris, 27 April 2011 – The parliamentary committees of the European Security and Defence Assembly/WEU Assembly met for the penultimate time in Paris on 27 and 28 April 2011. The Political Committee, chaired by Mr Norbert HAUPERT (Luxembourg, EPP/CD Group), unanimously adopted a report submitted by Mr Michael HANCOCK (United Kingdom, Liberal Group) entitled “European security and defence policy: past achievements and new challenges”. The report provides a critical overview of the construction of European foreign, security and defence policy. The report also takes stock of the recent upheaval in the southern Mediterranean. 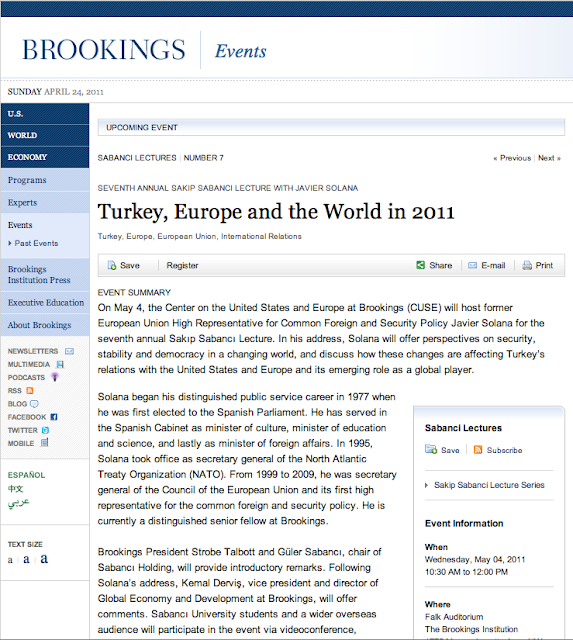 Members of the committee had a lively political debate on the “Arab spring” and its consequences for Europe. The Assembly recommends in particular playing “a stronger role in supporting the aspirations of the people in Northern Africa and the Arab world who are seeking the rule of law, more democracy and freedom of choice, and better social opportunities” and appointing “Special Representatives of international stature and reputation to lead the EU response to the individual situations in North Africa and in particular to support the preparations for the election and constitutional reform processes in Egypt and Tunisia”. The report contains a number of suggestions on the way ahead, including 1) a more assertive High Representative; 2) a coherent and comprehensive neighbourhood policy; 3) placing the strategic focus first and foremost on key partners; 4) a stronger role in North Africa and the Middle East; 5) becoming more unified and credible with regard to multilateralism, and 6) initiating more concrete projects for the pooling and sharing of capabilities. The report also analyses transatlantic relations and relations with Russia. The Presidential Committee of the Assembly, chaired by Mr Robert WALTER MP (United Kingdom), agreed on the draft agenda and programme for the sixtieth and last session of the Assembly to take place on 9 and 10 May Palais d’Iena, Paris)." How do you think this will affect the US? What role will it force the US to play? What are the long term consequences for us here in the US? Which staff member in DC would they be working with? (small "o") Roman Catholic ? just misinterpreting the whole thing. "Agents of Conscious Evolution Starts Tonight! Calling all evolutionaries who want to help humanity make the Shift in time! You CAN learn to become a powerful catalyst of conscious evolution and play a role in one of the most exciting events ever envisioned: a planetary Birth Day on December 22, 2012. This day will help us shift beyond fearful separation toward a global sense of oneness . . . The best thing I can do is to give you a precise definition of what Catholics ( Anglican, Eastern Orthodox and Oriental Orthodox ) Christians mean by Sacred Tradition. Sacred Tradition is not merely something which is "man made." Sacred Tradition is the objective body of public divine revelation transmitted by Christ directly to Peter and the Apostles, preserved by them, and handed on intact by them to their successors down to this very day in a concrete historical apostolic succession. As such, it is inseparable from Sacred Scripture and even if everything Catholic and other Christians believe is not explicitly written down in Sacred Scripture said beliefs cannot contradict Sacred Scripture. An example of this would be the word "Trinity" which is not explicitly found in Sacred Scriptures but does not contradict it. Sacred Tradition or Holy Tradition is a theological term used in some Christian traditions, primarily in the Roman Catholic, Anglican, Eastern Orthodox and Oriental Orthodox traditions, to refer to the fundamental basis of church authority. The word "tradition" is taken from the Latin trado, tradere meaning to hand over, to deliver, or to bequeath. The teachings of Scripture are written down in the Bible, and are handed on, not only in writing, but also in the lives of those who live according to its teachings. The teachings of Tradition are not written down, but are lived and are handed on by the lives of those who lived according to its teachings, according to the example of Christ and the Apostles (1 Corinthians 11:2, 2 Thessalonians 2:15). This perpetual handing on of the teachings of Tradition is called a living Tradition; it is the transmission of the teachings of Tradition from one generation to the next. The term "deposit of faith" refers to the entirety of Jesus Christ's revelation, and is passed to successive generations in two different forms, Sacred Scripture (the Bible) and Sacred Tradition (apostolic succession). In the English language, "Sacred Tradition" is more likely to be used in reference to Roman Catholicism and "Holy Tradition" in reference to Eastern Orthodoxy, although the two terms are interchangeable in meaning. Another thing to be pointed out is that Sacred Tradition, which cannot be changed, is not to be confused with the Laws of the Church or Church disciplines which CAN be changed. A couple of examples of the Laws of the Church/Church discipline which CAN be changed because they ARE man made laws would be abstaining from eating meat on Friday or priestly celibacy. I hope you find this helpful in terms of what we Catholics actually mean by Sacred Tradition. The Catholic Church teaches that divine revelation ended with the death of the last Apostle. The successors of the Apostles simply preserved this divine revelation and handed it on intact to their successors, who in turn did the same, etc. etc. The fact that the objective body of public divine revelation ended with the death of the last Apostle is why we Catholics do not have to believe in things like reported Marian or Dominical "apparitions" which are called "private revelations." We are not required to believe in them even when the Church declares them to be "worthy of belief." The reason why Catholics and Orthodox Christians do not accept "Sola Scriptura" as their Christian Rule of Faith is because historically, Sacred Tradition ( the direct revelation by Christ to the Apostles ) preceded the Scriptures. Therefore, the one cannot be considered apart from the other. I am still picking my jaw up off the floor over this one! Father Pfleger is the caucasian counterpart to Barack Obama's former pastor Jeremiah Wright and has even collaborated with Louis Farrakhan. I always wonder-did the `king makers/godmakers hope to introduce a `new` Krishnamanurti- someone with a mysterious `conception`? It was just toooooo obvious the manner in which the MSM introduced OBama our King (saviour of the world)-Often with a halo of light behind him. He also was introduced to the world at the famous Brandenburg-before he became `king`. Receiving the PEACE prize for hardly doing ANYTHING. It smacks of major manipulation! His birth certificate is minor in everything else that is missing. I think the MSM (Soros?) hoped that the world was ready for the ONE? I think the current apocalyptic movies and 2012 scare mongering -is too `scare billions to opt for the paradigm shift. I'm skeptical about the analysis. Who is the purported "expert" and what are HIS bona fides? The "cutting and pasting" arguments are interesting, but I don't have the evidence to show this is correct. I am particularly skeptical about the date stamp where he claimed uneveness of the end character. It was clearly stamped on and would probably necessarily have an uneven character. I would be more suspicious if it did not. I have MANY disagreements and quarrels with the Obama administration, but the"birther" issue to my mind, at least, has always been an invalid one, just knowing what I know of airlines not permitting women to fly at such advanced stages of pregnance even on domestic flights. The birther issue, in my opinion, detracts from legitimate arguments. Do you all trust Donald Trump and Newt Gingrich? I k for one DO NOT. Just who created the video and why should we trust it? I am trying to understand your slant on Bede Griffiths who I for one have never trusted. He was most definitely apostate from Christianity. What you quoted there sounds somewhat like somebody who both freely added and/or subtracted from the Book of Revelation, a biblical no, no! If I misunderstand the point you make, I deeply apologize. What makes me not trust the birth certificate? Obama is a Chicago style liar down to his tiny toes. What makes him all of a sudden become a truth teller. Any group that can put a weak wimp into the office of the presidency with the help of New Age/communist leadership won't be stopped by the magic trick of making a little piece of paper appear. Should we make a big deal out of this? No. It's a losing battle. The only reason individuals concentrate on this is that all else is made so confusing and everyone understands what a birth certificate is supposed to represent. Constance, you said "What you quoted there sounds somewhat like somebody who both freely added and/or subtracted from the Book of Revelation, a biblical no, no!" I always felt that too - that the verse talking about "adding and subtracting from this book" is talking about the book of Revelations, and not the Bible as a whole, although most people who quote that are usually taking it out of context and applying it to the entire Bible. Why would someone think it applies to the entire Bible, since when that warning in Revelations was written, the Bible as a whole did not yet exist as *one book*? Anyway, it's a distinction that doesn't matter too much in the final analysis, because nobody should add or take away from any of the other books of the Bible either, yes? Hi Constance-apologies if I did not express myself clearly-(English is my second language) What I mean by what I mean by quoting Bede Griffiths-is that he had somehow `assured` knowledge about the events to be expected in 2012. The statement that we can expect crucifiction on a worldwide scale if the `earthlings` do not depart from their `old ways`. He was just another `voice` in the network of deceit so to speak. As long as this administration can keep its citizens majoring on the minors diverting attention to the real issues at hand, who knows that they are capable of doing - remember OZ behind the curtain.?. 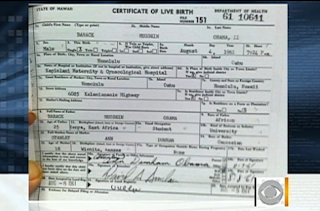 Missing birth certificate - fake birth certificate. Death of OBL - when, how...IF; keeps we the sheeple tilting at windmills.